“Zolinsky’s virtuosity was at times, incredible” – Following one of his highly successful recitals at London’s Wigmore Hall, this was how Andrew Zolinsky was reviewed in the Sunday Times. Andrew has performed with many leading orchestras, including, the Royal Philharmonic, London Sinfonietta, BBC Symphony, BBC Scottish, BBC National orchestra of Wales and the London Concert Orchestra. He has performed at all the major venues and festivals both in the UK and abroad. His concerts abroad have included performances in America, Belgium, France, Germany, Holland, Japan, Portugal and Spain. 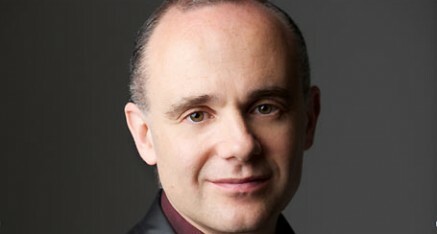 Andrew has played many times on BBC Radio Three, and has also been heard on Classic FM, BBC Radio Ulster, German Radio. In 2011, Andrew appeared twice with the Royal Philharmonic Orchestra in performances of Chopin’s First Concerto and the Grieg Piano Concerto. Andrew has recently given concerts in Italy and New York, and has appeared with members of the Philharmonia Orchestra in a concert in London’s Royal Festival Hall. In 2013, he has concerts in America, Rumania and in November will make his debut in the Southbank Centre London’s prestigious International piano series. In addition to his performing career, Andrew is much sought after as a teacher, and in this capacity he is a Professor at the Royal College of Music.